The economy Intercomp ACII model 15K system enables you to justify purchasing an ultra efficient scale system versus outsourcing the work to an expensive independent contracted weighing service. 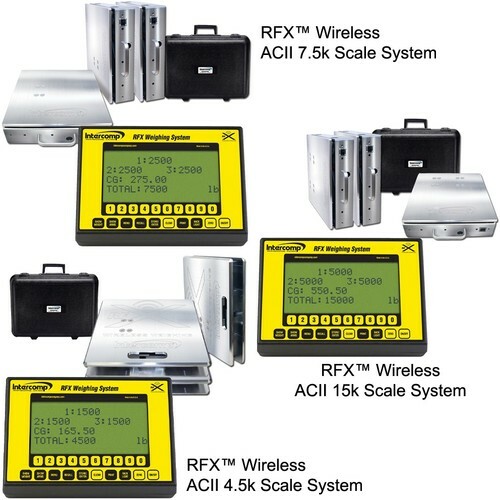 This weigh system consists of three ultralight platform scales and is connected to the ACII Digital Indicator. The large LCD screen allows you to display each platform and sums the total weight. Other push button controls include on/off, percentage of weight and zero. All of the models weigh less than 150 lbs, which gives you the ultimate in portability and affordability.